NASSCOM released a statement on Thursday clarifying its stance on cryptocurrency. Recent media reports have quoted the trade association as calling cryptocurrency “illegal.” In response to these reports, NASSCOM has come out to say that it only re-stated the RBI’s stance on cryptocurrency. Through a tweet on its official Twitter page, NASSCOM addressed recent news articles that quoted it as calling cryptocurrency illegal. According to the tweet, NASSCOM did not make such a statement, but rather re-stated the Reserve Bank of India’s policy concerning cryptocurrency. In light of recent media reports suggesting that NASSCOM has called crypto-currencies illegal, we would like to clarify that in response to a media query, we had cited the stance taken by the Reserve Bank of India on the issue…and this doesn’t reflect our position on the issue. We as NASSCOM believe in operating within the framework of the law in India, and recommend our member companies to do the same. Earlier, the Hindu BusinessLine quoted the NASSCOM president Debjani Ghosh as saying cryptocurrencies are illegal. According to the newspaper, Ghosh said that the association has to work with the law of the land. Going further, Ghosh asked crypto players who disagree with the law to ask the government why cryptocurrencies aren’t correct. But despite stating the association’s willingness to operate within the confines of government policies, Ghosh proceeds to criticize these policies as outdated. Answering questions concerning police action against industry players in the country as seen in the Unocoin case, Ghosh blamed policymakers for the uncertainty plaguing the crypto space, saying they are not in tune with rapid technological advancements. In April the country’s apex bank issued a directive prohibiting banks from providing services to cryptocurrency exchanges. 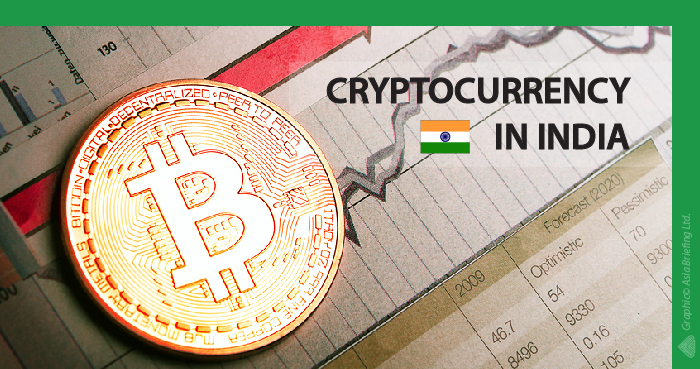 While the country’s government did not ban cryptocurrencies, the RBI’s directive has caused a massive drop in trading volume, constricting the crypto space in the country. Earlier in the month, one of the country’s top exchanges Zebpay closed its operations in India. The exchange moved base to Malta following an unsuccessful attempt to carry on business under the RBI’s restrictive policy. Ethereum World News recently reported the separate arrests of Unocoin Co-Founders Sathvik Viswanath and Harish BV. Unocoin, an Indian start-up Unocoin launched a cryptocurrency ATM. The machine allows crypto investors purchase digital assets like Bitcoin and Ethereum, with fiat currency. The government deemed this venture illegal and promptly arrested the co-founders. Image courtesy of India Briefing and Twitter (@nasscom).